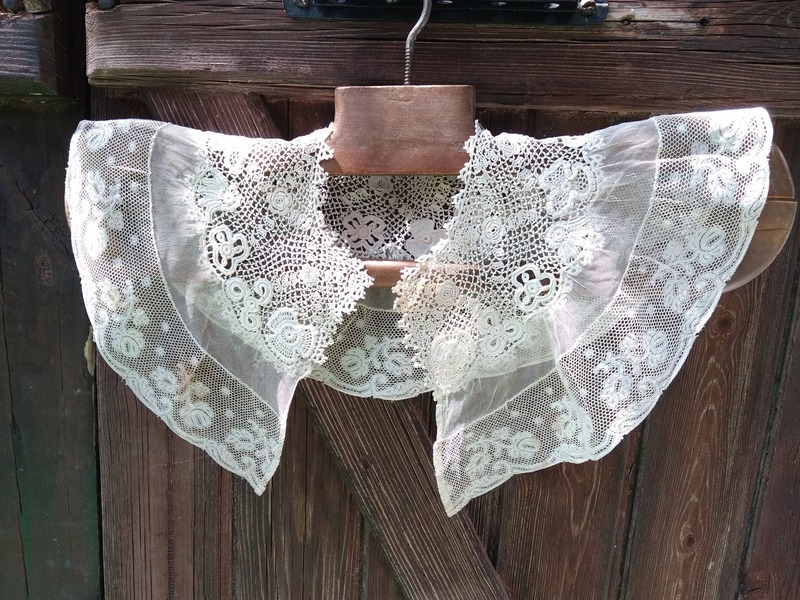 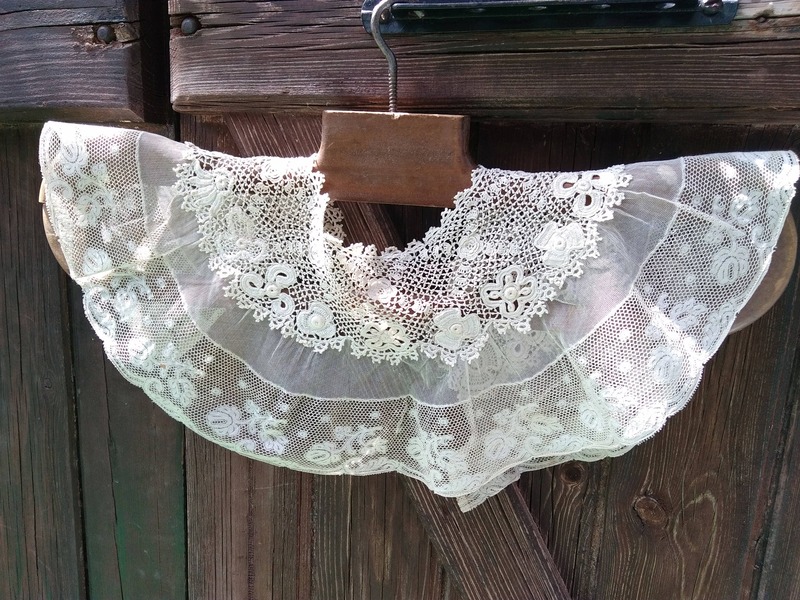 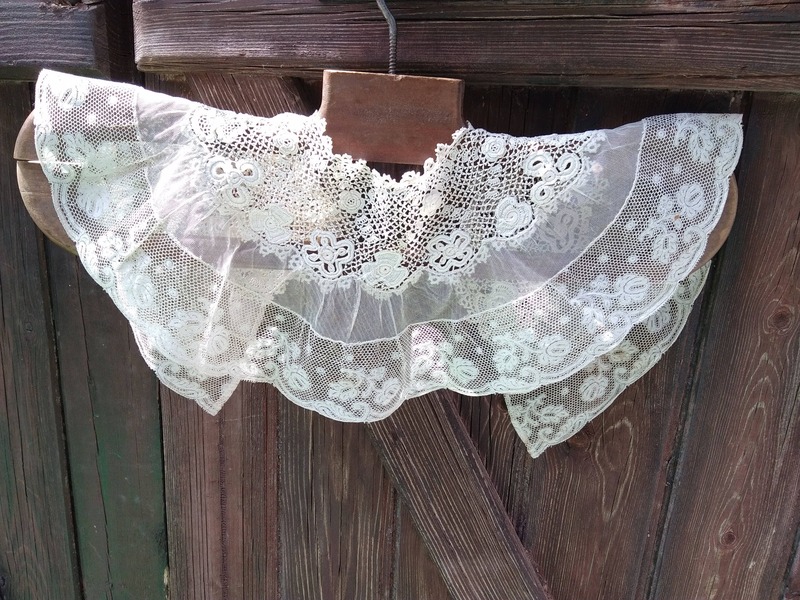 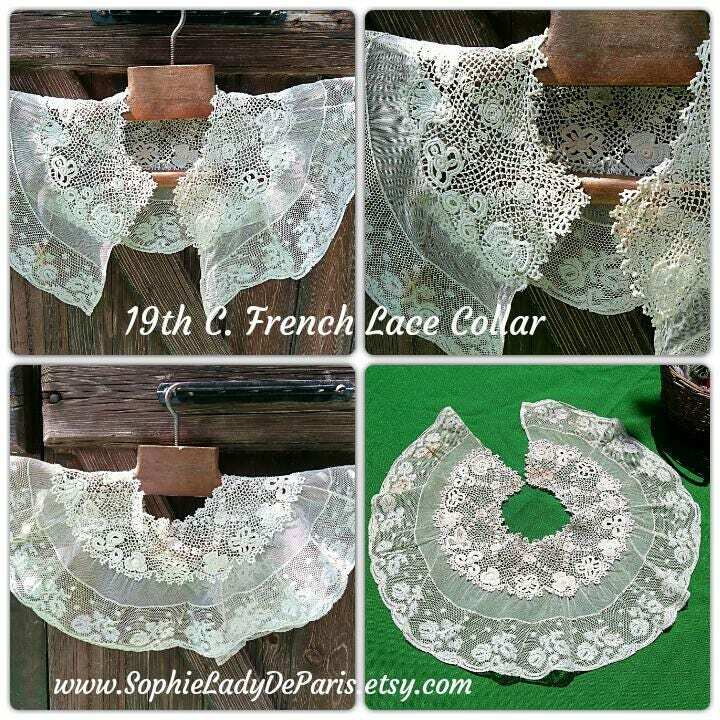 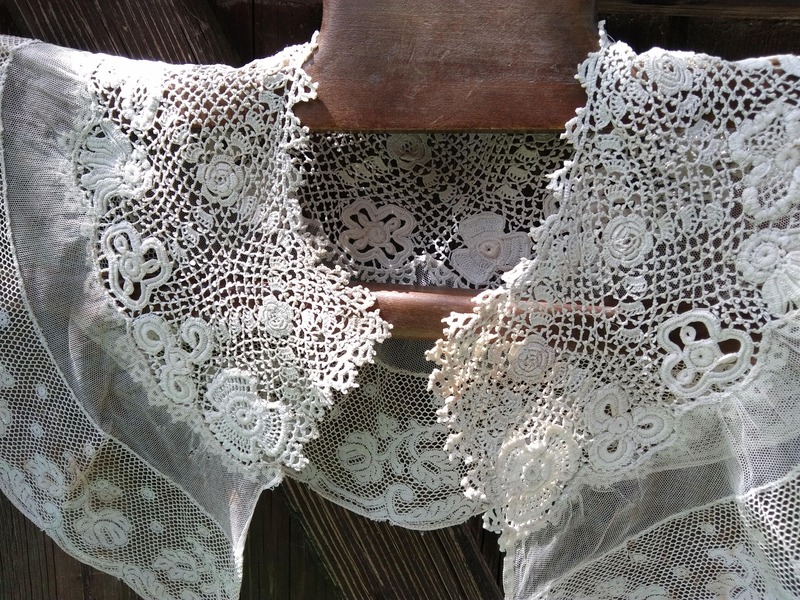 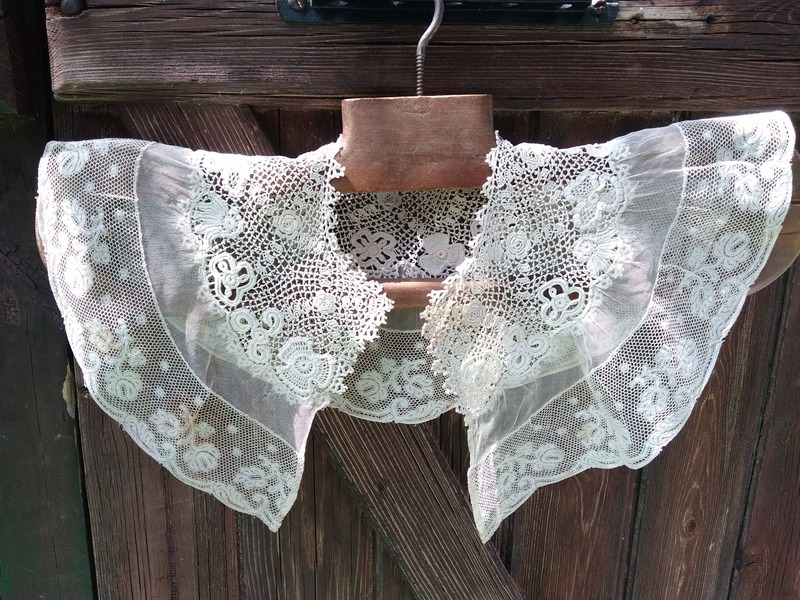 Gorgeous Antique 19th century French Capelet Collar. 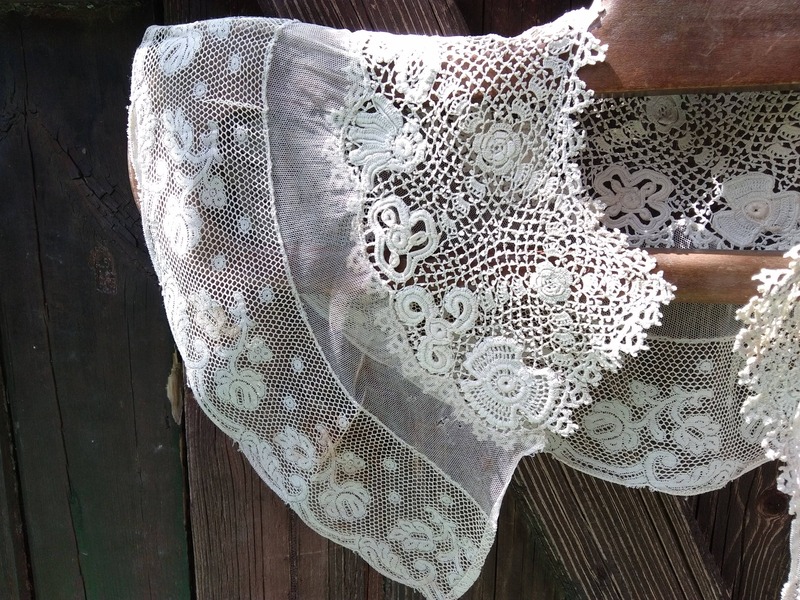 White cotton made with of two kinds of laces = hand crochet and tulle lace. 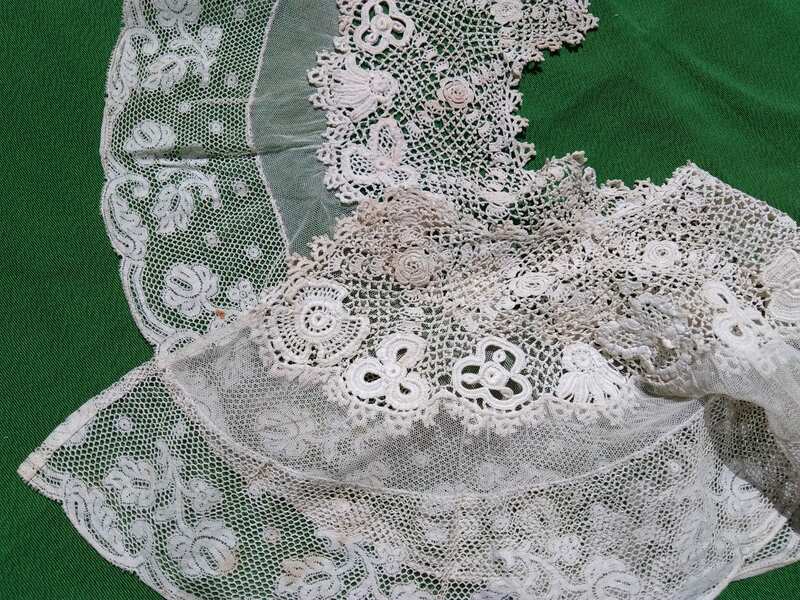 Bottom length : 46 in. 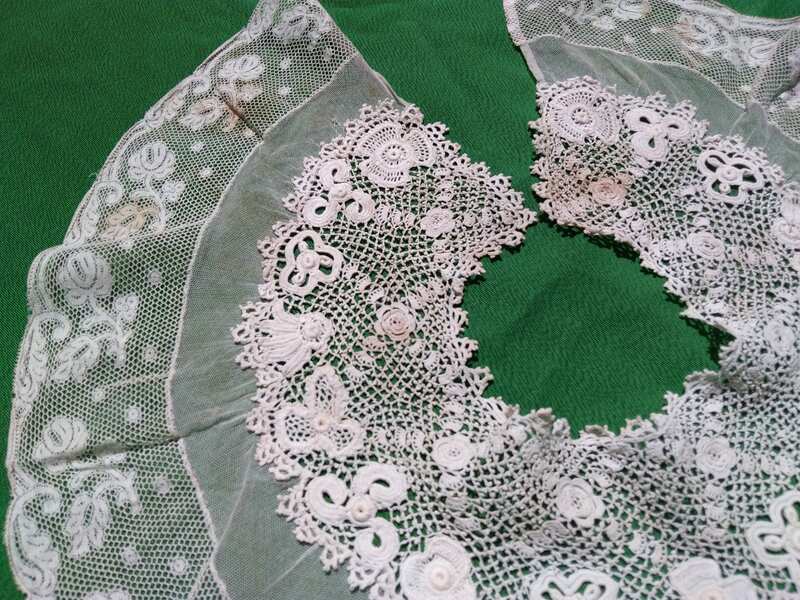 Good Vintage condition with time stains, museum piece, please check pictures. 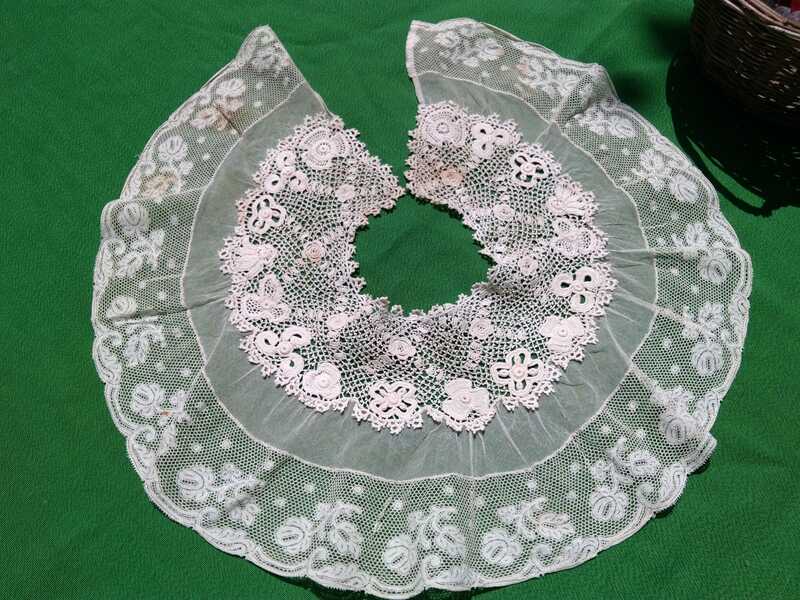 Fantastic piece to keep as collectible or for museum.